In ‘Around The Table,’ we highlight member news and share information on industry trends. 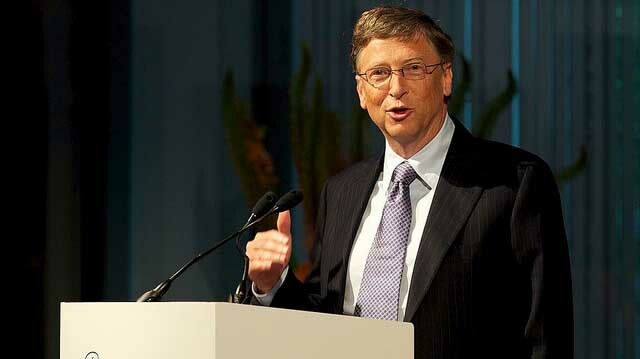 This week, we shine the spotlight on The Bill & Melinda Gates Foundation and Washington Federal. The Bill & Melinda Gates Foundation is once again shattering donation records at the University of Washington, this time with a $279 million grant to continue and expand pioneering programs that measure health around the globe. The money will fund another decade of work at the UW’s Institute for Health Metrics and Evaluation (IHME), which was founded 10 years ago with a $105 million Gates grant that was at the time the largest gift in UW history. Read more here. 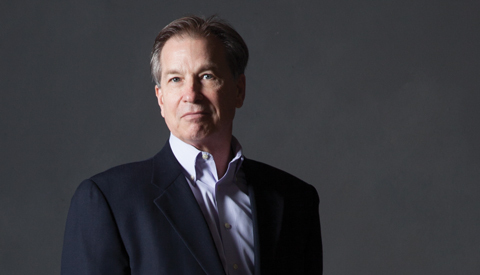 Congratulations to Washington Federal Chairman and CEO Roy Whitehead, recently honored with the 2017 Executive Excellence Lifetime Achievement Award by Seattle Business Magazine. Roy joined the bank in 1998 and became CEO in 2000. Founded in 1917, Washington Federal is the largest bank headquartered in Washington state – with more than 1,800 employees and more than 230 branches in eight states. Roy announced earlier this year he plans to retire on April 1 and will take the new position of executive chairman of the company’s board. Read more about his achievements and the award here. In ‘Around The Table,’ we highlight member news and share information on industry trends. This week, we shine the spotlight on Sabey Corp and Boeing. “It’s a busy time for real estate development in the Puget Sound region, and Sabey has developed a keen eye for innovative and thoughtful projects. 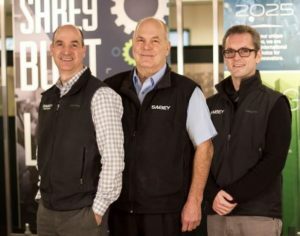 Sabey was quick to identify the opportunities of the growing technology industry in the early days of the dot com boom and built the first Boeing Electronics clean rooms. “Since then, the company has jumped into the data center development business and become one of the largest private owners of data centers in the country with more than 3 million square feet of space in its portfolio.” Read the full article here. 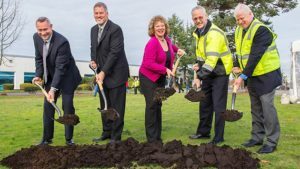 Boeing’s Auburn site broke ground in December for the Workforce Readiness Center, the first new building for the site in nearly 25 years. When complete in roughly one year,the new building will be a multi-use facility dedicated primarily to enhancing the skills of Auburn’s more than 5,000 employees. This new investment represents a critical piece towards supporting the site’s central role in fabricating parts for Boeing Commercial Airplanes production now and into the future. Read more here. SEATTLE – January 11, 2017 – More than one-third of Washington school districts have one or more low-performing schools. Academic performance and graduation rates for students who attend those schools significantly trail those of students statewide. And, challenges extend beyond those schools, with approximately 200,000 3rd through 8th graders (nearly half the student population) across Washington scoring below proficient (or below standard) on statewide assessments. Those are among the key findings of a new report from the Washington Roundtable and Partnership for Learning, done in collaboration with Education First and Public Impact. The report, “Creating Great Schools for Washington Students” examines the characteristics of Washington’s low-performing schools and struggling students. It also identifies best practices and recommends distinct, actionable strategies for raising student achievement. The report and an extended research presentation are available at waroundtable.com. • Washington state has identified 255 low-performing schools, including at least one in more than a third of its school districts. Approximately 100,000 of the state’s 1 million public school students attend these schools. • Performance of 3rd through 8th graders at low-performing schools on the Smarter Balanced assessments – administered annually in math and English language arts – trails the statewide average by 16 percentage points in reading and 17 points in math. • The five-year graduation rate at low-performing schools trails the state average by 29 points. • Results of efforts to improve low-performing schools in Washington are mixed. Since the 2012-13 school year, 57 schools improved enough to move out of Priority or Focus School status (the two categories of low-performing schools identified by the state). However, over that same time period, the total number of schools designated as low-performing has increased, and performance in 17 schools declined. According to the study, the challenges of low academic performance extend well beyond schools identified as low-performing. Nearly half of 3rd through 8th graders who took the Smarter Balanced assessment at all Washington schools in 2015 scored below proficient (or below standard). Approximately 200,000 students did not meet standard in English language arts, and more than 225,000 were below proficient in math. Of those, about 100,000 students scored Level 1 (the lowest level). “We’ve seen great progress in Washington’s schools in recent years. Graduation rates are rising and more students are achieving at higher levels. However, clearly, significant numbers of students are struggling,” said Steve Mullin, president of the Washington Roundtable. “There will be 740,000 job openings in our state in the next five years. Most will require a postsecondary credential or college experience. We need a concentrated statewide plan to get our students ready, including strategies and targeted supports to help struggling students and turn around low-performing schools,” Mullin said. “The common thread in successful efforts to raise academic achievement across the nation is the decision to put kids first, support and expand the reach of excellent teachers, measure performance, and provide support for students who need it most,” said Bryan Hassel, co-director of Public Impact, a national education research and consulting firm that partnered on development of this report. 1. Improve K-12 Financing: The state should allocate funds based on student need. A student-based budgeting system would improve equity and outcomes, and provide sustained resources for schools with greater concentrations of struggling students. 2. Enhance Supports and Accountability: The state must be able to identify low-performing schools and struggling students, and use a robust accountability system to target resources. Policymakers should strengthen support and intervention strategies, measure and report on progress, and set clear timelines for performance improvement with concrete consequences. 3. Increase Access to Educator Talent: Policymakers should take steps to grow the pipeline of great teachers and leaders for low-performing schools and struggling students. 4. Close Achievement Gaps Early: The state should continue to make targeted investments to expand early learning options for low-income children. These focus areas are a core piece of the Roundtable’s long-term effort to help prepare more Washington students to take advantage of great job opportunities available in our state, the vast majority of which will be filled by workers with postsecondary credentials. Learn more about the “Washington Kids for Washington Jobs” research series and outreach efforts at waroundtable.com.